Quick update.. coz I need to start playing after a busy weekend.. Evolve players have up to April 13, 12:01AM ET to complete the latest challenge; Land 1 Million Rock Throws. My least favourite skill of Goliath's skill set!! Really not going to enjoy it but for the sake of the challenge, I'll do my part. Hopefully I can get a bit better at landing those rock throws after this. And our reward? 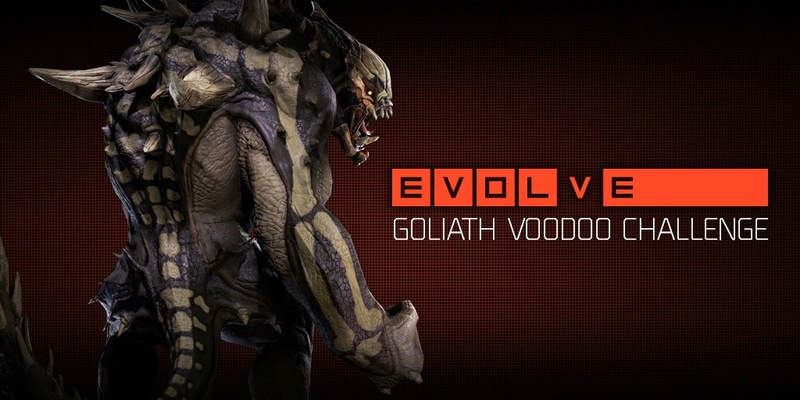 The Goliath Voodoo Skin as pictured above.. Nice!